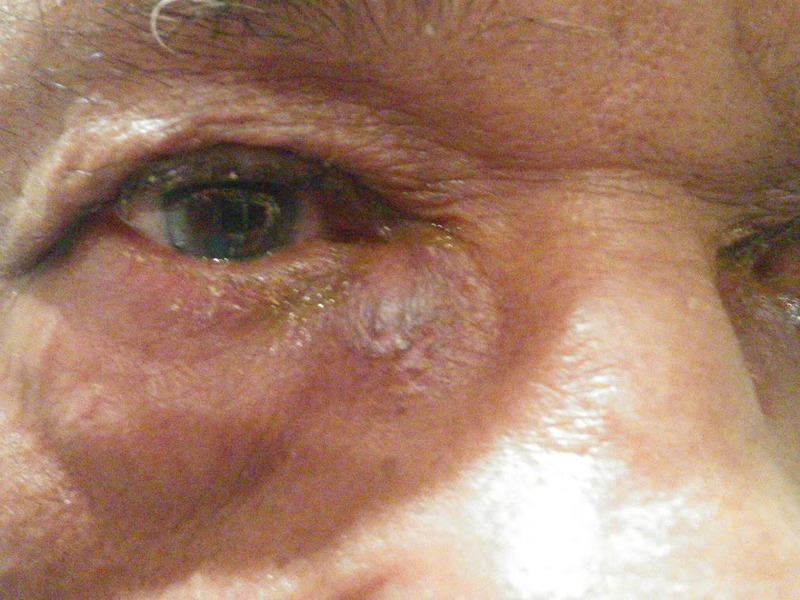 65 year old presents with 3 days h/o increasing pain, swelling inferior to the medial canthal area. What question do you like to ask him? What is the most likely organism causing this condition? More common in whites than Blacks (Blacks rarely develop dacryocystitis because the nasolacrimal ostium into the nose is large. In addition, the lacrimal canal is shorter and straighter in blacks than in whites). The most common organisms isolated from the lacrimal sacs of children with dacryocystitis include Staphylococcus aureus, Haemophilus influenzae, beta-hemolytic streptococci, mycobacterial species, and pneumococci. Methicillin-resistant Staphylococcus aureus (MRSA) is more common in patients with acute dacryocystitis than with chronic dacryocystitis. The most common aerobic organisms isolated from the lacrimal sacs in adults with dacryocystitis include S epidermidis, S aureus, and Streptococcus, Pseudomonas, and Pneumococcus species. S epidermidis is the most common isolate followed by S aureus. The most common anaerobic organisms isolated from the lacrimal sacs in adults with dacryocystitis include Peptostreptococcus, Propionibacterium, Prevotella, and Fusobacterium species.